“You will feel as if you are on your second Honeymoon while staying in the Crimson Cottage”. The tastefully decorated Crimson Cottage can accommodate 2 people and have an old workers house charm with a modern twist. The Cottage has a open plan layout with en-suit bathroom and an indoor fireplace and a outside build in braai on the Patio. There is a HDTV with full DSTV and DVD with Free WIFI, Air Conditioning and your Queen sized bed have an electric blanket on for the cold winter evenings with 100% Cotton Percale linen and thick and fluffy towels are included. The Kitchenette is fully equipped for self catering with an Convection Micro wave oven and Fridge Freezer, The modern bathroom have a nice big bathtub and shower with the most awesome views on the mountains. 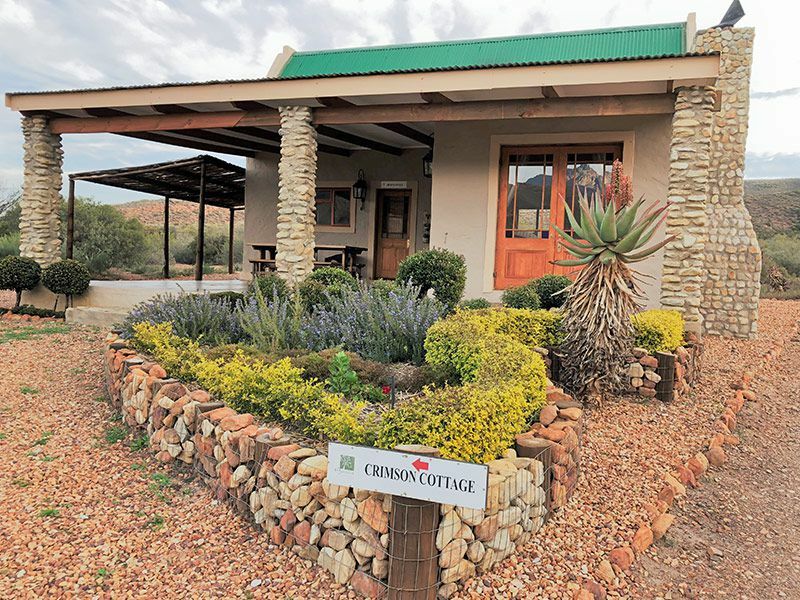 The Cottage is situated on the slight incline of the mountain and have the most beautiful views of the Valley with Vineyards and the Swartberg Mountain. 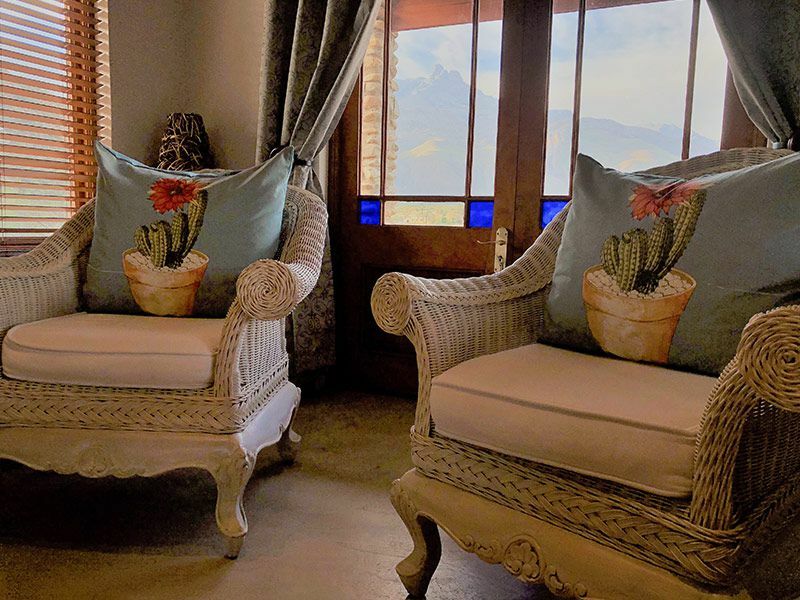 Just sit on the Patio area and enjoy the peace and tranquility of the Klein Karoo.